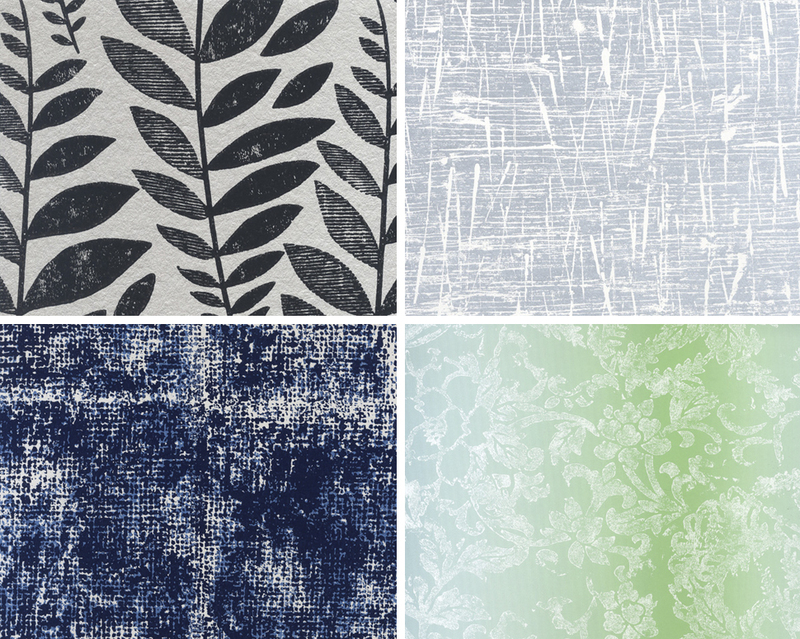 Most people know Spruce carries a beautiful variety of fabric choices, but many don’t know we also sell wallpaper! 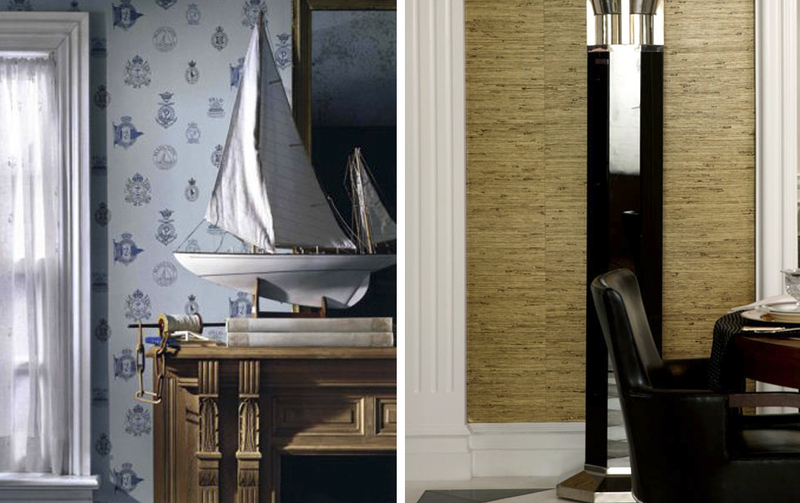 Oftentimes, the perfect accompaniment to your furniture is a well-placed wallcovering. Let me highlight some popular selections Spruce carries. 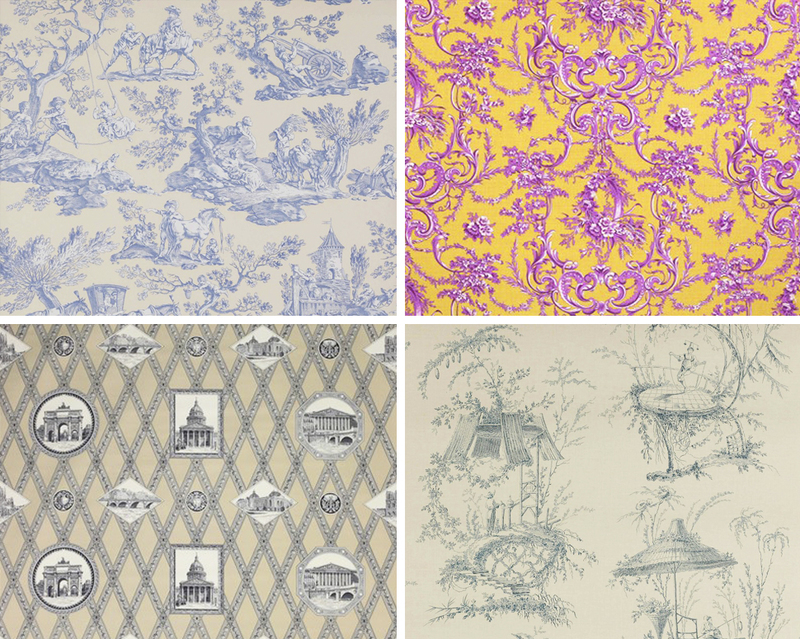 A wide variety of wallpapers are available at Spruce. A common misconception about wallpaper is that it’s old fashioned, dated and difficult to maintain. 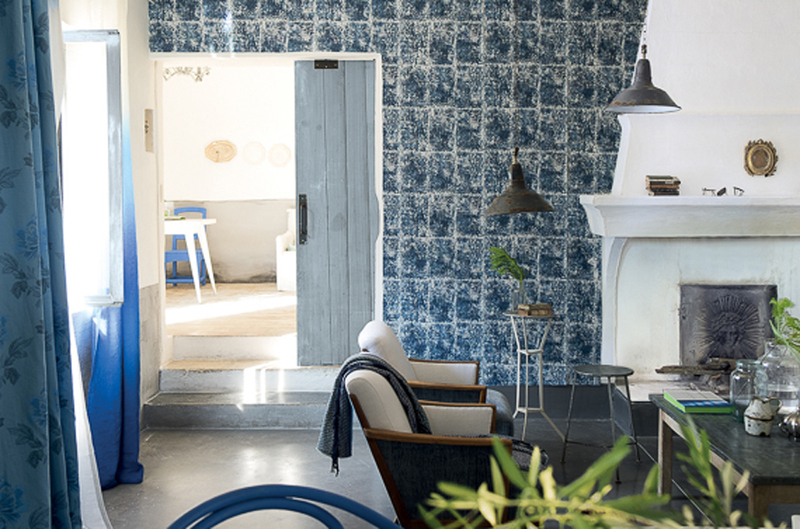 But several designers have been reversing those assumptions, creating lines of wallpaper that reflect a modern aesthetic and have an easy upkeep. We’re seeing wallpaper with typical florals, plaids and solids, in addition to pleasantly unexpected textures, colors and materials that speak to modern decor. Manufacturers are now making wallpaper that can be scrubbed down. These papers are produced with a blend of tough materials, such as vinyl and polyester, that don’t compromise the look of the product. If a wayward meatball flies into that newly covered wall, soap and water will do the trick. Knowing how much paper to order for your project has also become easier now that calculation methods are easily found on the Internet. Installation is still best left to a professional, and Spruce can certainly give some great recommendations for the installation. 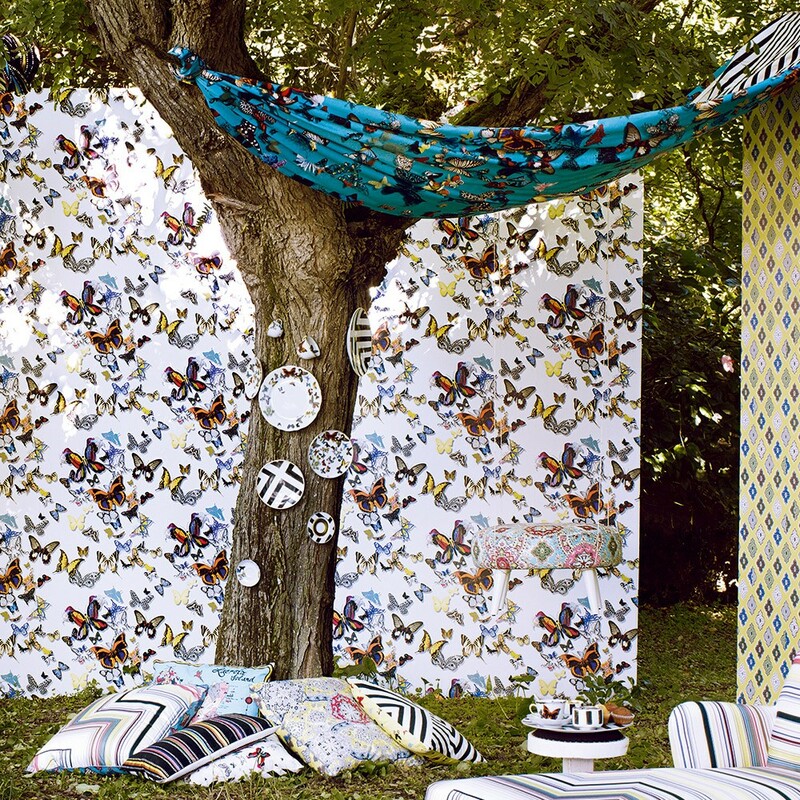 French fashion designer Christian Lacroix is creating some pretty breathtaking wallpaper options for Designers Guild that are heavily inspired by French and Spanish design. A couple of the designs are large enough to create a large wall mural, and one features a stylized scene of the French Riviera. If you’ve got a hankering for that haute couture vibe, you can’t go wrong with this collection. My favorites are some of the more daring designs, and I can never get enough of those butterflies! 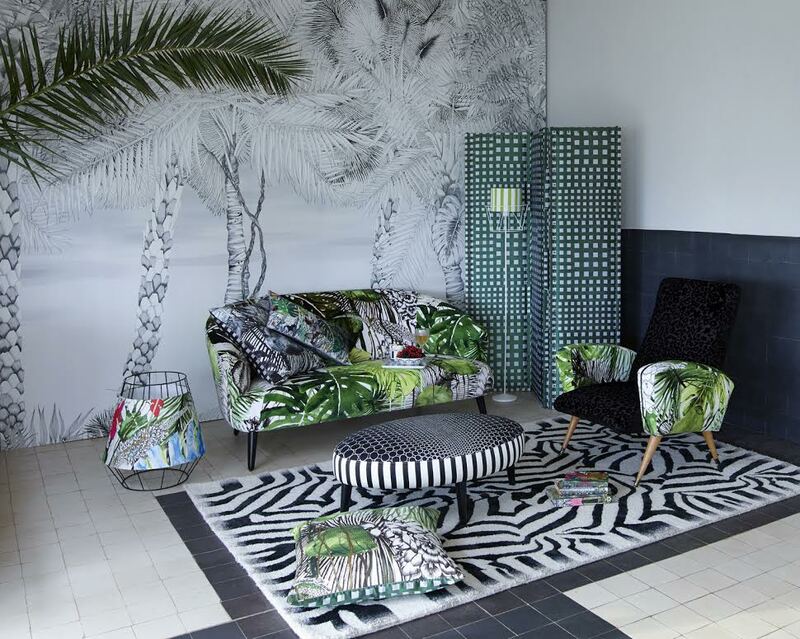 Designers Guild’s Surabaya collection features primitive patterns, giving off a tropical vibe. Along with classic indigo, colors range from acid green to neutrals, with some metallic foil thrown in for a twist. If you’re pining for an island getaway, these prints will tide you over. Ralph Lauren is always a good choice for those looking for a classic look. Many of the papers have a subtle fabric texture, giving that extra dimension that is a big step up from flat paint. 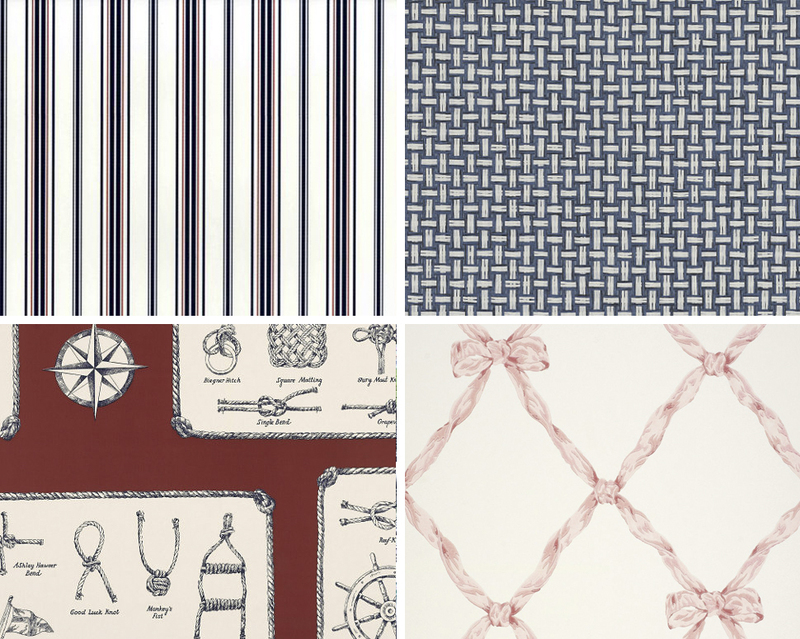 The nautical and plaid papers give a sophisticated look to children’s rooms. Still a top quality choice, Ralph Lauren also can be an economical option. Osborne & Little produces a sophisticated line of papers with metallic accents. The effect enhances the patterns which mimic the surface of stone, marble and other natural formations. 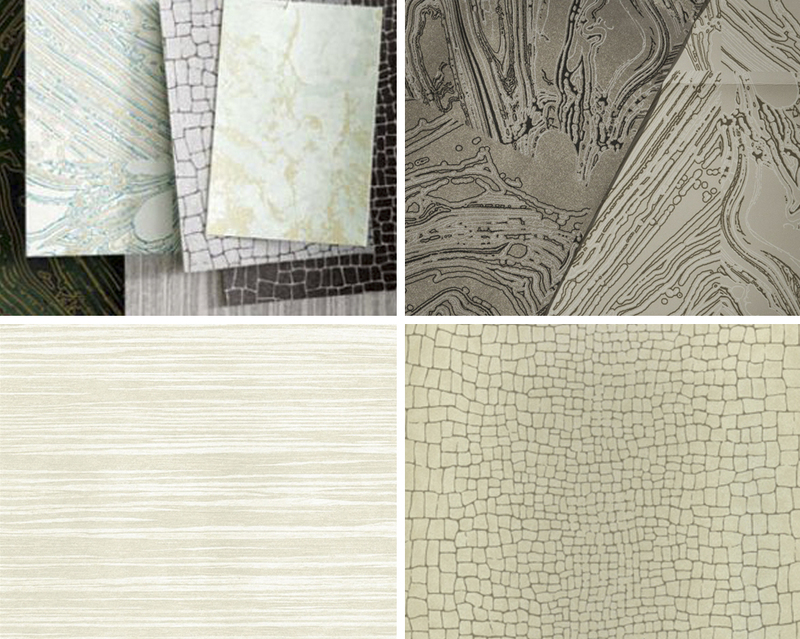 These papers are great for adding a dose of flair without straying from a neutral palette. 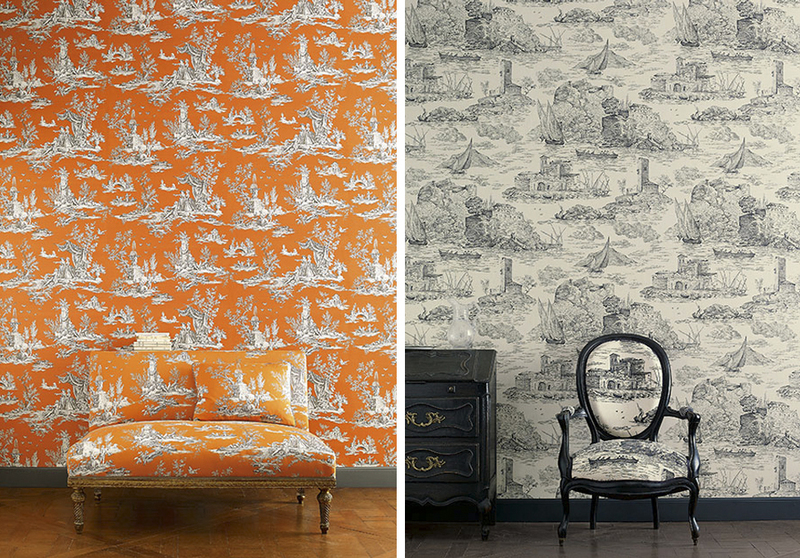 Those who favor traditional design will love Manuel Canovas‘ new line of wall coverings that play with the idea of classic toile de jouy, featuring illustrations of pastoral scenes that tell stories of days gone by. These are classic patterns punched up by some pretty electric colors, such as acid green and hot pink. Also featured are “souvenir” patterns, featuring a mishmash of objet d’art and architectural motifs arranged in playful ways. 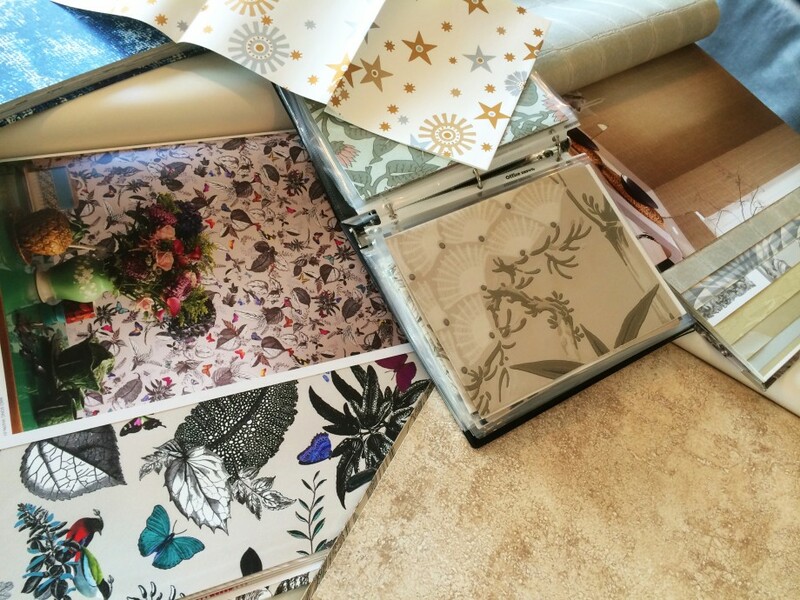 Adding wallpaper to your home can revitalize any space. 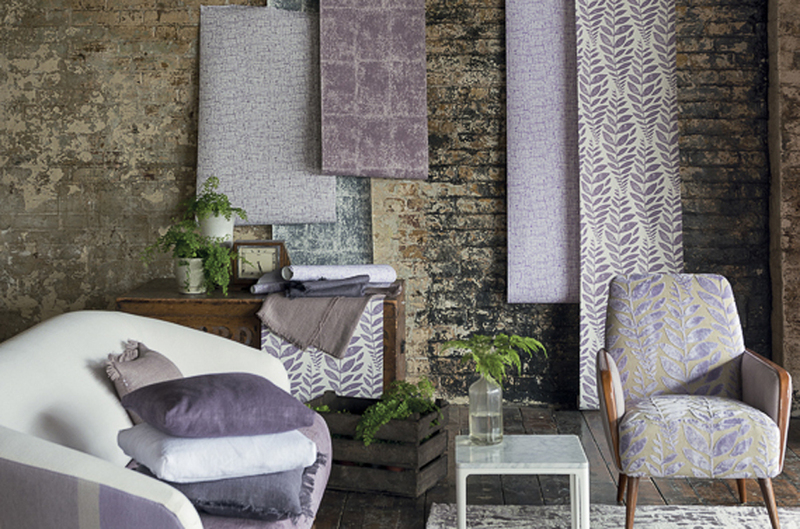 Whether you’re redoing a bathroom or the entire house, wallpaper can be just as important at defining your personal interior style as the fabric you choose to cover your furniture. We invite you to stop by Spruce and see what else we have to offer! 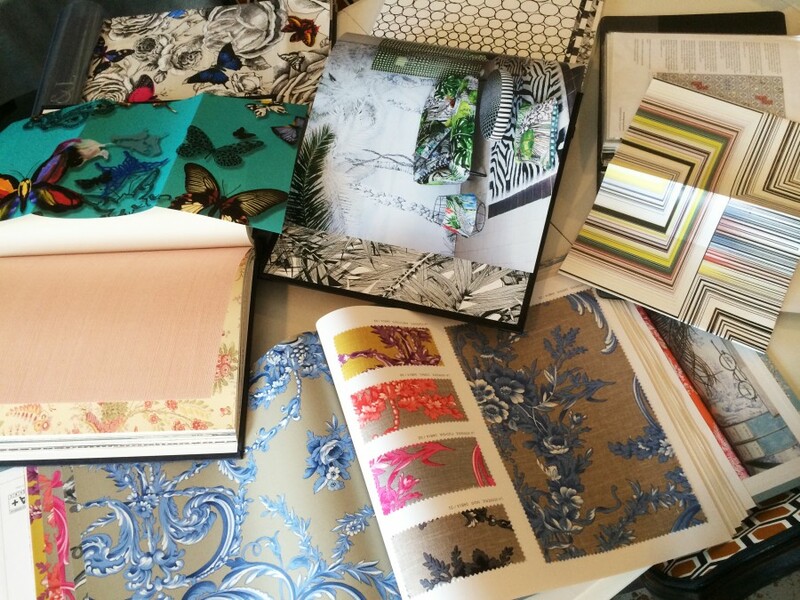 If you have any questions about procuring samples or ordering wallpaper, feel free to contact us. May 19th, 2014 posted under Benton, Nugget of the Week, The Spruce Studio and Store.